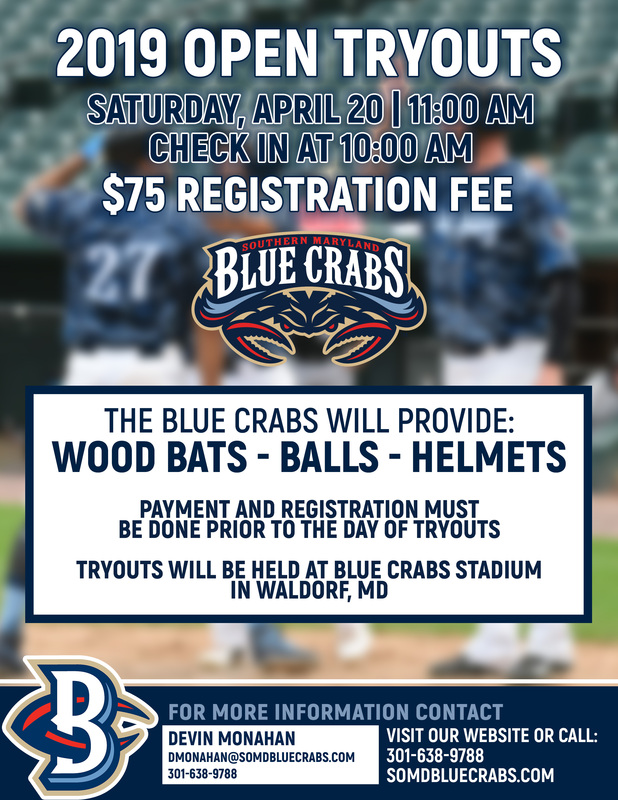 The Blue Crabs will be hosting an open tryout for the 2019 team on Saturday April 20, 2019 at 11AM in Waldorf, Maryland. You must register prior to participating. The Blue Crabs will provide wood bats, baseballs, and helmets for use. Contact Devin Monahan at dmonahan@somdbluecrabs.com or call 301-638-9788.